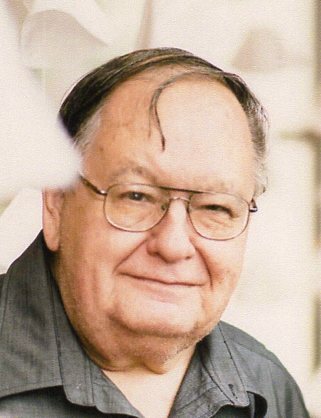 Obituary for Richard J. Snyder | Sorge Funeral Home Inc.
Richard J. Snyder, 69, of Altoona, passed away Sunday morning at the Presbyterian Village at Hollidaysburg. He was born in Scranton, son of Ruth (Asmus) and the late Richard A. Snyder. Richard married Carol M. Parkes, June 7, 1969 in Milesburg. Surviving are his wife with whom he shared 49 years of marriage; two daughters: Teresa Celaya and husband, Valentin, of Salem, Oregon; Stephanie Gutshall and husband, Thomas of Altoona; two sons: Jeff S. and wife, Michelle, of Reading; Steven J. and wife, Maranda of Bellwood; ten grandchildren: Bryan, Julen, Lily, Amaia, Maite, Josu, Zoe, Noa, Evelyn and Ava; two sisters: Cheryl in Florida; Janet, in Scranton; and brothers: Donald in New York, John in Ohio and Jerry in Virginia. Richard was a graduate of Falls Overfield High School, Mill City, class of 1966. He received an Associate Degree from Penn State University, attended Albright University; earned his Masters Degree in electrical engineering from Lehigh University and a Masters Degree in teaching from Alvernia University. He was employed by Penn State University as an engineering professor. Richard enjoyed his grandchildren; traveling, and playing the trumpet. Friends will be received from Noon to 1pm, Saturday, November 17, 2018 at Sorge Funeral Home, Inc., Hollidaysburg, immediately followed by a 1pm funeral service, Rev. Donald Snyder officiating. Interment will be in New Canoe Creek Cemetery, Hollidaysburg.